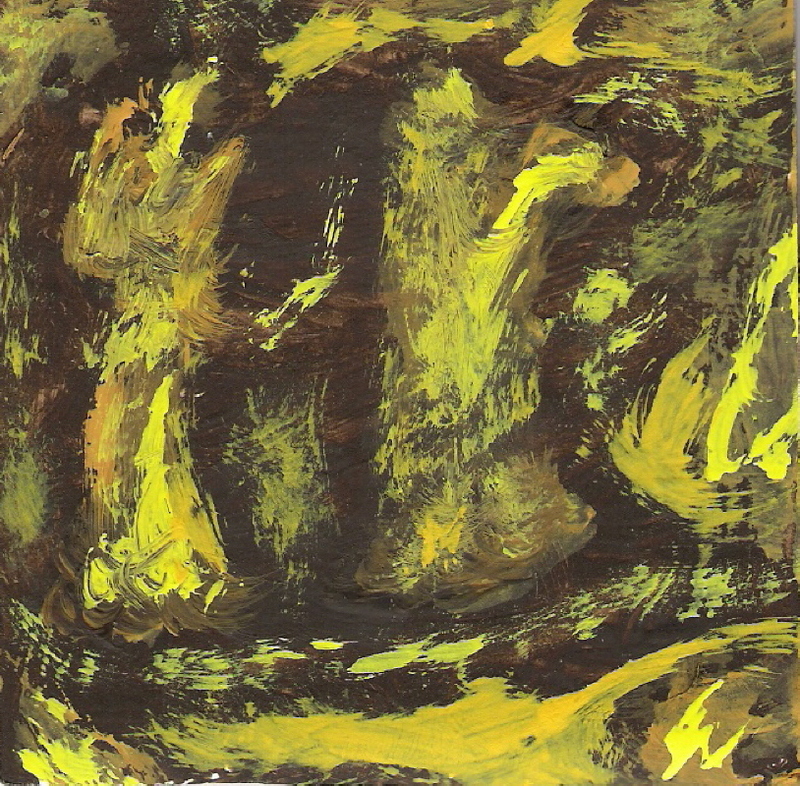 Small painting, about four inches wide, in yellows and browns. Computers being what they are, color may not be an exact representation, but it is close. Bright yellow against a brown background suggests the Bride of Christ followed by an angel guarding, holding a sword. Other shapes are suggested, perhaps birds and other angels. A pool of yellow forms part of the side of the path. Words form across the bride’s dress as she carries a small book and holds something in her hand. Musical notes, other images, follow the two as they walk across the picture. As in many of my paintings, the title is partly suggested by things that were found in the paint as it dried and has many things that may come to mind to a viewer. Done in acrylics with a cardboard support, this is an early example of my paintings. On the small side, it could fit on a desk top easel or in a small frame, matted or unmatted. If you prefer prints of this painting, you may visit Praise and Worship product. Canvas prints begin at $30 unstretched, and framed prints begin at $71.